Brown paper carrier bag with flat paper handle. These paper bags with handles are a competitively priced alternative to plastic carrier bags. They have five-times folded inner paper handles and a reinforcing base sheet, giving them extra-high high weight capacity. These paper bags are ideal for fashion retailers, gift shops, as promotional carrier bags and as carrier bags for food use. Once opened, these paper bags have a flat bottom, which increases the bags' capacity and allows them to stand upright, even when empty. 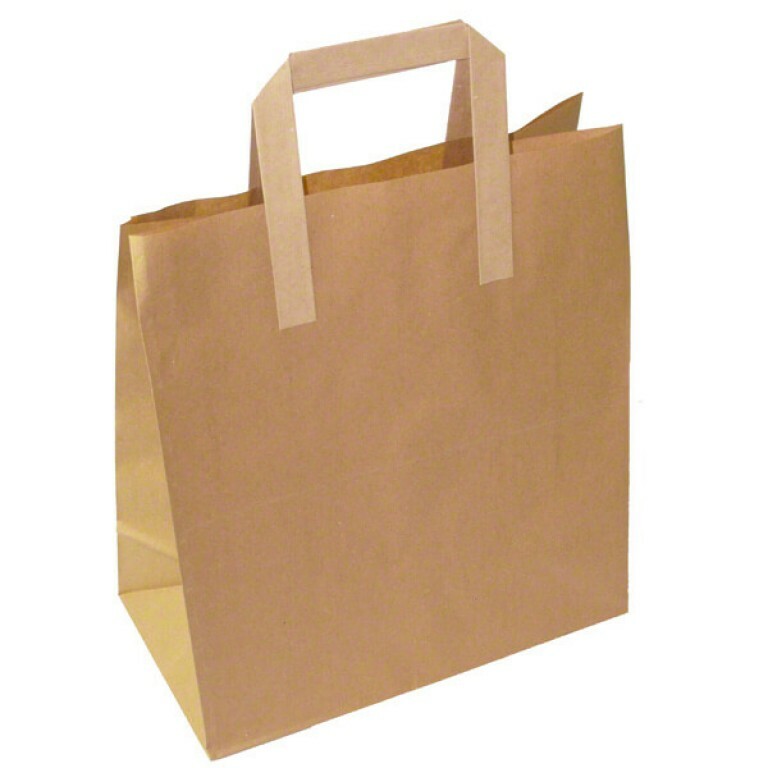 Traditionally, this paper bag design is known as 'Self Opening Satchel', or SOS bag. These paper bags are fully recyclable and therefore offer an environmentally friendly alternative.